This decision came as no surprise to me. I believed all along that the General Conference decisions would be ruled out of order based on our constitution, the fair process procedures related to complaints/trials/appeals, and the responsibility of a Board of Ordained Ministry to authenticate one's call to ministry. This decision keeps things just the way they are. Or does it? I agree with that statement wholeheartedly in the sense that I, like any other called and committed clergyperson, am energized by my call from God, my love for the church, and my deep commitment to the “world as my parish.” I do not believe that it would ever be wise to threaten pastors with the loss of an appointment. Creating undue anxiety is not the way to motivate leadership in our calling to “make disciples of Jesus Christ for the transformation of the world.” What I always want to do is motivate our leadership to excellence with the resources and encouragement that will help make them better at what they do. In fact, that’s the same thing I desire for myself! What I disagree with is the assumption in Rev. Feagins quote that any denial of an appointment is or ever would be done “arbitrarily.” If I am honest, I come pretty close to resenting that assumption because I can say with a great deal of certainty that decisions about appointments made by me and my team have never been and never will be arbitrary. Almost every day I pause to thank God for the wonderful opportunity that I have been given to be a bishop of the church. Each time we gather I have an opportunity to lift up a prayer of thanksgiving for a wonderful cabinet that is filled with people of grace and integrity. Each day I am keenly aware of the special gift we have been given to serve the church in this capacity. And, I am fully aware of the reality that with significant positions of leadership comes significant amounts of responsibility. Our Book of Discipline spells out pretty clearly that bishops and district superintendents are to be servant leaders who not only oversee the church, but also support the church and its leaders in the ministry of making disciples. 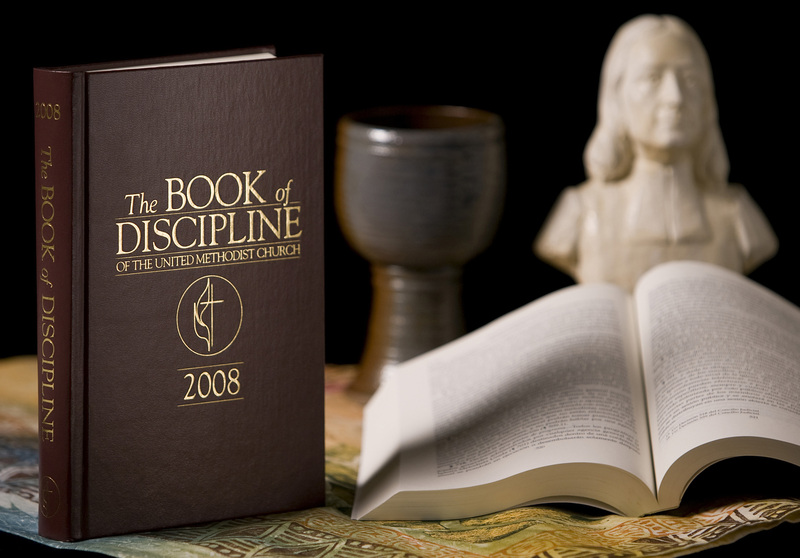 The Book of Discipline uses phrases like: vital & renewing spirits, enquiring minds, a commitment to teaching, a vision for the church, a prophetic commitment for the transformation of the world, and a passion for unity to describe our role and function. While we are all human, and failure is as much a possibility for us as anyone, the leadership I exercise and the leadership I strive to evoke from my team is not arbitrary. If the Judicial Council had made a different decision and removed the security of appointments from the Book of Discipline, we would not have acted arbitrarily in our decision-making. There would not have been a wholesale inventory established of pastors who would be exited from ministry. There would not even have been a shock wave of threat issued to the pastors under our care. Regardless of the decision, I have never believed that a piece of legislation would remove the need for us to have honest, face-to-face, grace-filled, reality based conversations with the pastors under our care. That’s why I have said for some time that the people under our care here in Western Pennsylvania should not spend a great deal of time worrying about this potential disciplinary change. So, does this mean that things remain the same? I don’t think so. I believe that there are some significant things that all of us should be worried about. These worries should not be confined to the office of bishop or even to the district superintendents. They should be OUR worries. In addition, I have noticed that some of our pastors are not well schooled or disciplined in what I would call “Basic Leadership 101.” Common sense decision-making seems to be quite often absent and, as a result, congregations and the people within them get hurt, victimized, and neglected. Likewise, there shouldn’t be any “resting on our laurels” as pastors if we do not own up to and constantly work on the professional responsibilities of our profession and calling. Look at ¶334 and ¶340 of The Book of Discipline. While it still maintains a provision for the guaranteeing of appointments, it also calls leaders to continually be available for appointment, submit to an annual evaluation, demonstrate continuing effectiveness, and grow in professional competence. When these kinds of things do not happen, whether they be in the bishop’s office or in a pastor’s parish, there should be a serious examination about whether or not a person can continue in that capacity. That’s where the provisions of ¶361 (complaint procedures) are exercised. Beyond that, we all should be worried about the future of our church, our relevancy in society and among emerging generations, our ongoing struggle to make and nurture disciples, and our leadership in being able to carry out these necessary components of our calling. For some the recent Judicial Council decision is a reason to celebrate. Maybe we all should celebrate the wonder of our calling to such a degree that it would drive each of us to excellence in the work of ministry that is ours. Do not assume it or take it for granted. Let it push you to a greater level of service and higher plane of discovery. The Judicial Council determined that things should remain as they have been. But in reality, some things just can’t stay the same. Appointment making should never be arbitrary. On the other hand, the exercising of ministry within those appointments should never be arbitrary either.